Motorists with iPhones keen to stay on the right side of the law will be able to download RoadPilot Mobile – an innovative GPS speed camera locator application – from today via the Apple App Store. 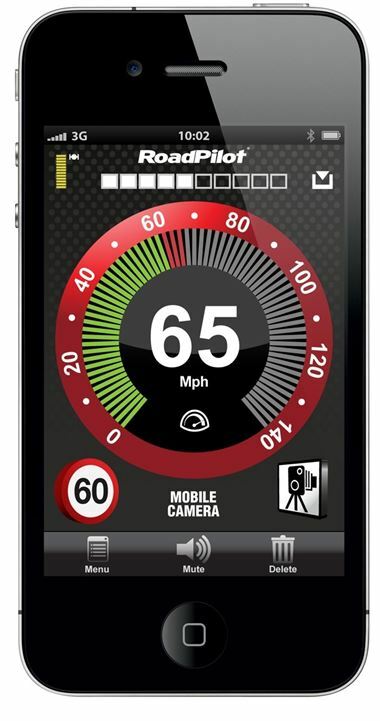 Compatible with iPhone3, 3GS and 4 models, the application provides audio and visual alerts to all upcoming fixed and mobile speed cameras, as well as reminding motorists of the local speed limit at camera sites. RoadPilot’s database is one of the most comprehensive available and includes over 5,500 fixed speed cameras in the UK alone. By physically surveying each individual fixed site in its database, RoadPilot can ensure unrivalled accuracy and quality of data. RoadPilot Mobile is available on a 30-day trial basis for just £0.59 and then on a monthly (£2.99), annual (£14.99) or three-year (£29.99) subscription basis. A key feature of the application is the real-time alert facility, which enables motorists to notify other members of the RoadPilot Mobile user community if there is a mobile police speed-checking vehicle present. The firm’s growing user base is regularly sharing thousands of ‘live’ mobile sites every month. James Flynn OBE, CEO of RoadPilot commented, “The last thing cash-strapped drivers need is a speeding fine for having crept over the limit on an unfamiliar road. RoadPilot Mobile can help motorists be more aware of local speed limits and all upcoming fixed and mobile speed detection sites, meaning they can focus fully on the road ahead and keep a clean licence”. RoadPilot Mobileis now available on all major smartphone platforms, downloadable from Apple App Store, Android Market Place , Blackberry App World and the Nokia Ovi Store.